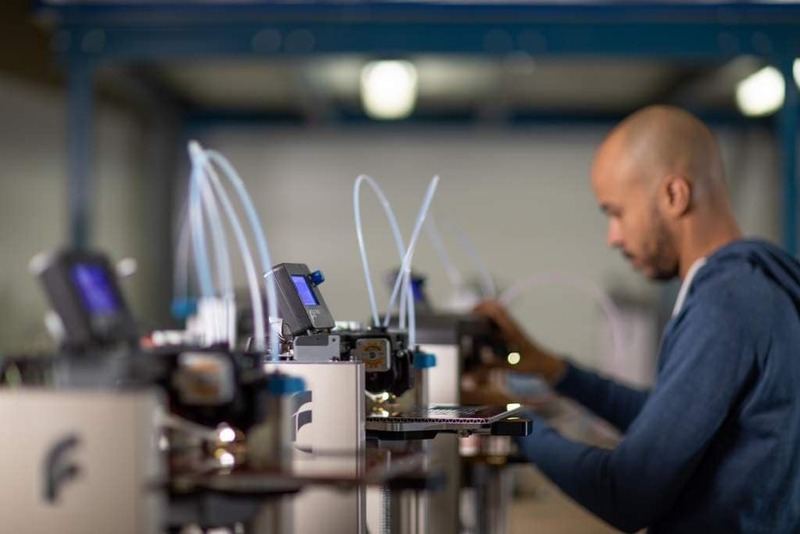 There is a divide in the market for additive manufacturing (AM) / 3D printing. On the one hand, there is a community of users that employ entry level, often relatively inaccurate printers for a range of applications, usually associated with hobbies. The extensive time consumed attempting to get these printers to work anywhere close to consistently — and their high print fail rate — is off-set by the low purchase cost. On the other hand, there is an established and growing base of users employing AM as a true industrial manufacturing tool. This latter community often requires high-end, expensive and often difficult to use AM platforms to produce the high quality AM parts that industry demands with repeatability and reliability. The struggle continues for AM to truly find its feet in a production setting. For sure, there is uptake, there are successes across numerous industrial sectors, but the real opportunities that exist for AM are not to replace traditional manufacturing processes such as injection molding and machining, but instead to be incorporated with and work alongside these traditional processes in an efficient and innovative way. They need to complement and integrate seamlessly into existing product development and manufacturing processes. Within this context, there is a vast constituency of potential AM users that see a compelling reason to use AM for some manufacturing applications (typically low to medium runs), but cannot contemplate the level of capital expenditure required to get them in-house, and are often put off by the apparent complicated nature of the technology. Add to this the requirements for skills, training and the well-documented shortages of professionals in these areas, and the status quo is often viewed favourably. This constituency of potential AM users are also poorly served by the entry-level AM platforms that are available at a price that they can afford, these being the machines more usually associated with the maker community, and characterized by low price, lack of reliability, poor print output ,high failure rates, and time-consuming operation. 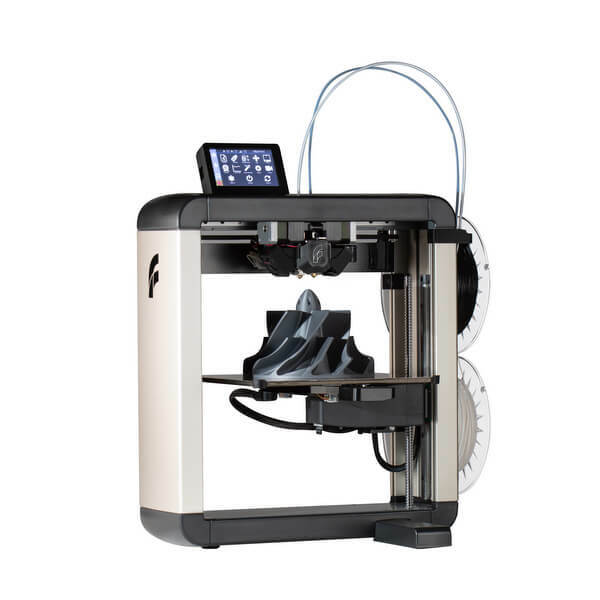 It is specifically because of this gap between supply of lower cost, reliable and accurate 3D printers and the demandfrom across industry that FELIXprinters has just undergone a radical reorientation of its business model, with a dedicated proposition to service the latent demand for AM from vast swathes of industry. Throughout its history, FELIXprinters has achieved a strong reputation for developing and delivering robust, reliable and accurate machines, servicing a growing client base with solutions that are far in excess of their requirements in terms of accuracy at a price that is comparable with inferior alternatives. With the drive towards the adoption of AM for industry and manufacturing applications, FELIXprinters has logically leveraged this reputation and made an intelligent and concerted move to provide industrial AM solutions, at a price that makes them accessible to many industrial customers hitherto unserviced, and with an emphasis on true workflow integration and ease-of-use. Back at the beginning of 2018, FELIXprinters began to work on an adaptation of its business model. FELIXprinters — while understanding that there would always be an active and significant demand from makers and education facilities for entry level cost machines — was aware that the future for growth existed in providing production high quality 3D printing solutions for the manufacturing supply chain. FELIXprinters recongnised that there is a fundamental issue with pursuing the maker and education markets alone. For makers, and indeed for many education facilities, the over-riding factor when making a purchasing decision is cost. Reliability, accuracy and robustness come a distant second to the fact that the cheapest platform is often the preferred platform. This means that to an extent there is a race to the bottom, and the focus is on selling as many low cost relatively inaccurate solutions as possible, with margins squeezed tighter and tighter. Leveraging the superior quality, accuracy, and ease-of-use of its AM platforms, FELIXprinters realized that there was an opportunity to make an intelligent move to industrial applications. Perhaps uniquely at this stage, the company reached out to numerous industrial sectors and listened to what their real requirements were. They listened and responded, and find themselves now in an optimal position to service industrial clients. 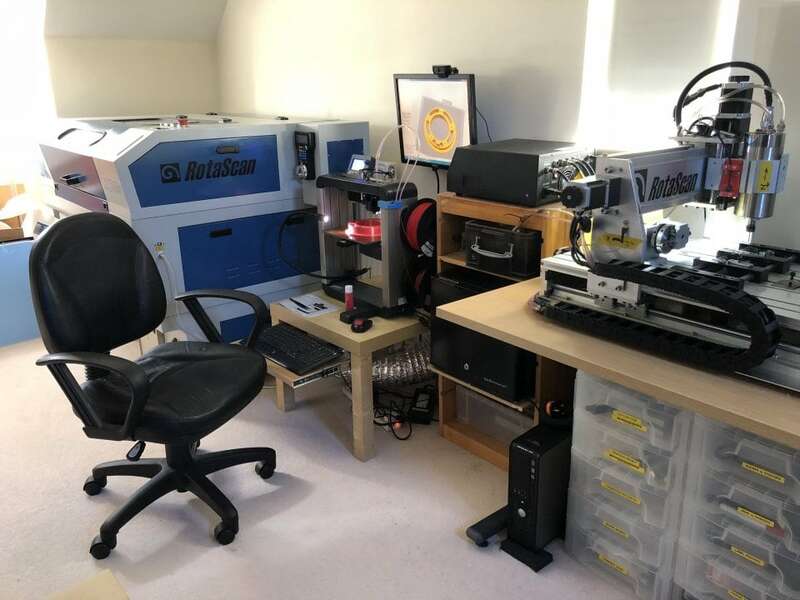 FELIXprinter’s first move to an overtly industrial AM platform came with the introduction of its Pro series of 3D printers. The latest and most advanced model in this series is the recently launched Pro 3. This is to be followed in the coming weeks by the next new AM platforms the L and XL which introduce a series of platforms with larger build volumes. They key behind these machines lies in what the market told FELIXprinters. What they required, and where the gap in the market existed, was for a reasonably priced but above all easy-to-use, intuitive, accurate tool that could be used at every stage of the product development cycle. FELIXprinters was effectively challenged to come up with solutions that optimized the price/performance ratio. The company is characterized by — and has a reputation built on — precision technology, and all the maker, education, and now the industrial AM platforms benefit from robust and high quality in-house construction in their headquarters near Amsterdam. The FELIXprinters industrial AM machines vary in cost from approximately €3000 to €15,000 depending on the build envelope required, and therefore present robust manufacturing solutions at an affordable price point. The full range of the company’s industrial AM machines are backed up by an array of ancillary products and services and pro-active post-sale “partnership” which is expected when companies adopt AM for manufacturing applications. All of this is in response to the feedback from industry that focused heavily on ease of integration of AM platforms into their product development and manufacturing processes. As with every industry where new disruptive technology providers are jostling for position, there are numerous claims made that in some instances are difficult to justify or back up. This is helpful to no-one, and in the end is detrimental to the entire sector as manufacturers end up with sub-optimal solutions and lose faith in the power of AM to stimulate innovation and make accurate and often complex parts repeatably. FELIXprinters has made a move against such “smoke blowing” and only makes claims that are demonstrably accurate and provable. Through a lot of investment in terms of time and effort, the company can back up its claims, and from the ground up has built machines required by customers. Where others may tell customers what they want to hear, FELXprinters was told by customers what they wanted, and are successfully developing and delivering the solutions. So saying, FELIXprinters industrial AM platforms come loaded with automated and intelligent features to maximize productivity and efficiency. Intelligent printing is key! Functionality is included in the company’s industrial AM platforms that removes many of the tiresome and time-consuming aspects that characterize many other AM platforms. This is achieved through the incorporation of automated motorized calibration, a highly innovative quick–swap print-head solution, extremely fast rotation of print-heads in the dual head configuration; and a dedicated flexplate, supplied as standard to easily and quickly remove printed parts. In addition, the company’s industrial AM platforms all offer extremely quick heat-up and cool-down print heads, meaning that the dual head print times are reduced by a factor of 2. Overall temperature control has been significantly improved on the Pro 3 and the L and XL platforms which together with optimal object cooling with dual high power blowers, results in more consistent extrusion of filament and consequently more accurate print results. The industrial AM platforms also feature new touchscreen modules, with integrated print-server. These are small and powerful octacore computers, which makes the user’s life easier by providing a smooth and intuitive user interface, real time remote webcam monitoring, multi-user control via a web interface, print file management, WiFi and Ethernet connectivity, the ability to render g-codes, and the ability to create a time lapse of the print. With all these features aimed precisely at the articulated industry demand for robust, accurate, and easy-to-use intuitive industrial AM platforms, the focus from FELIXprinters is 100% on the seamless integration of their AM machines into existing industrial workflows. This overcomes a common obstacle to the incorporation of AM in many manufacturing facilities, as they perceive that they will cause upheaval and disturb existing and successful product development and manufacturing processes. It is only through understanding this by undertaking extensive market research that FELIXprinters has been successful in its transition to incorporate industrial AM platforms into its existing maker- and education- targeted machine portfolio. Internally at the company there is an obsessive focus on AM platforms that produce optimized print results repeatably. When coupled with the use of best-in-class components that make FELIXprinter’s AM platforms robust and reliable, it becomes easier to see why the company is now establishing itself as a successful player in the market for industrial AM machines for manufacturing applications. 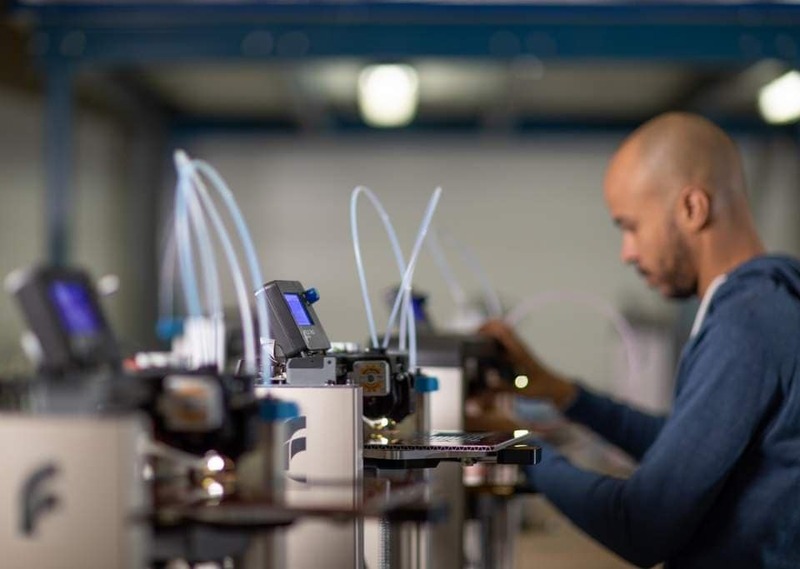 As many industrial sectors have shifted their manufacturing workflow to incorporate additive manufacturing, FELIXprinters has repositioned itself and its portfolio to serve the changing needs of industry. This has been achieved through careful attention to detail, listening to what customers say, and developing products and features to meet their needs. The Pro 3 and soon to be launched L and XL platforms meets these expectations and more. After studying electronic and econometrics, Aad Janszen began his career in 1979 developing software in the company Janszen Microsystems, which later became JMS Automatisering BV, and finally after many mergers and acquisition, DutchICT BV. From 2012, DutchICT Group was an all-round IT service provider in the mid market segment, and was one of the leading players in the area of IT, automation and other related services in the Netherlands. DutchICT has now been acquired by Avantage Groep B.V.